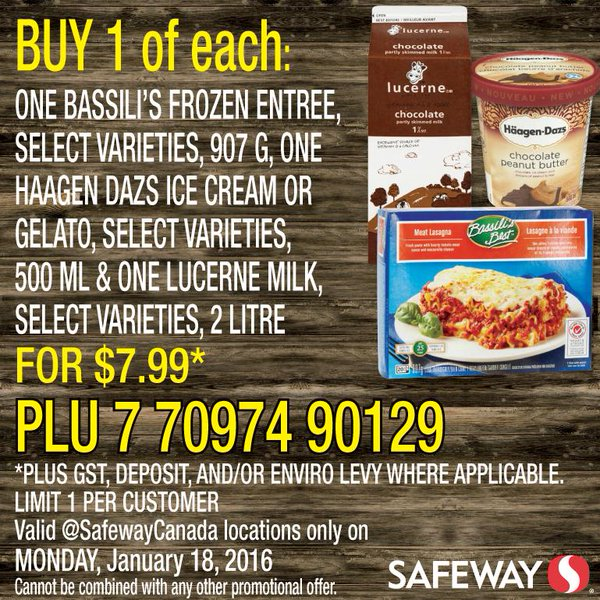 Time for another twitter deal from Safeway! Easy to redeem – pick up the items as shown exactly in the picture. At checkout you can show the picture on your smartphone, if you don’t have a smartphone you can print it out. It’s one deal per person and each person has to have their own copy of it. 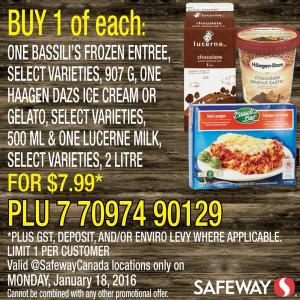 For $8 you get a frozen entrée (shepherds pie, lasagna etc.) a 2L milk and Haagen Daz ice cream! Remember that it’s a one day only deal – so share it with friends and family!